Barney Gallant (standing, at right) was many things. 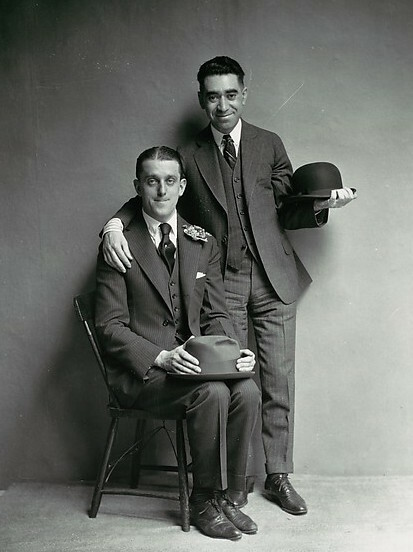 He was a Latvian immigrant who came to the U.S. in 1903; Eugene O’Neill’s first New York City roommate, sharing a rundown Sixth Avenue flat with the playwright for $3 a week; and manager of the Greenwich Village Inn in Sheridan Square (below left). He was also a colorful rebel so convinced that Prohibition was idiotic, he became the first New Yorker ever prosecuted under the Volstead Act in 1919 when his waiters served booze to undercover cops (he spent 30 days in the Tombs for this misdeed). After his stint behind bars, Gallant—now a hero and celebrity—decided he would keep serving liquor, but only to customers in the know. 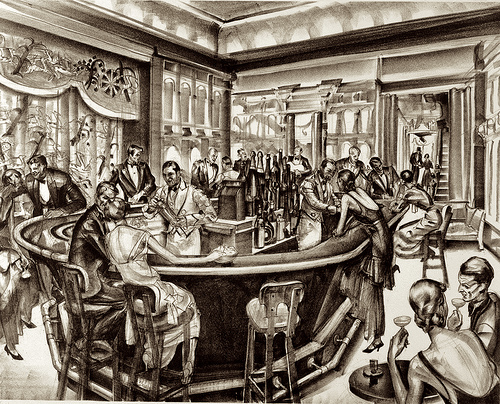 So he opened his speakeasy, Club Gallant, in 1922 at 40 Washington Square South. It was a hit, attracting “youngsters with strange stirrings in their breasts, who had come from remote villages on the prairie; women of social position and money who wanted to do things . . . businessmen who had made quick money and wanted to breathe the faintly naughty atmosphere in safety, and ordinary people who got thirsty now and then and wanted to sit down and have a drink,” stated Stanley Walker in 1933’s The Night Club Era. 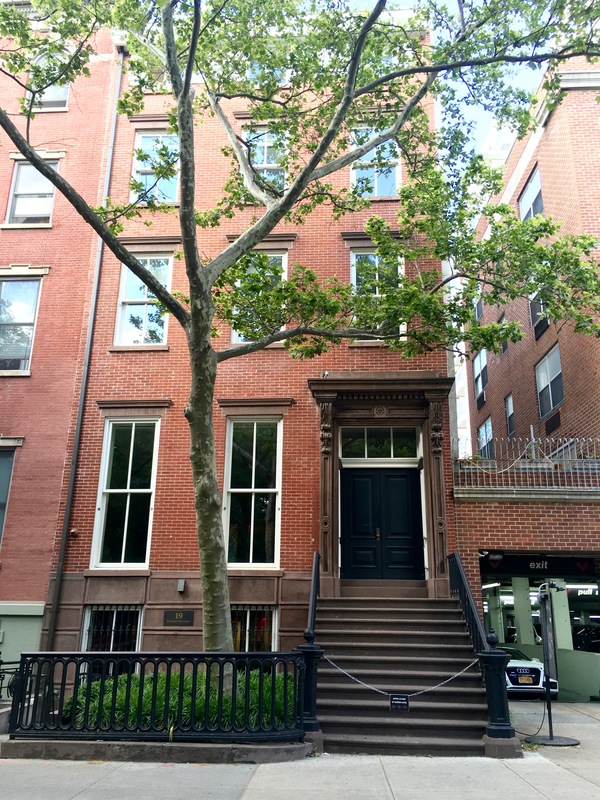 Club Gallant moved to Edgar Allan Poe’s old digs at 85 West Third Street. 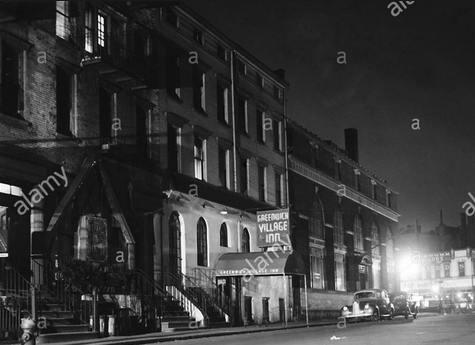 Gallant then decamped to 19 Washington Square North (right), where he opened his ritzy speakeasy Speako de Luxe (below). The key to his success, besides his eccentric personality and reputation for having more friends than party-loving mayor Jimmy Walker? After Repeal in 1933, the “mayor of Greenwich Village,” as he was dubbed by the press, opened a restaurant at 86 University Place. He wrote an article for Cosmopolitan in 1946 called “The Vanishing Village” and worked on his memoirs in the 1960s, supposedly. What stories he must have had to tell! He died in a Miami retirement home in 1968. This entry was posted on June 23, 2016 at 8:42 am and is filed under Bars and restaurants, Music, art, theater, Poets and writers, theater, West Village. You can follow any responses to this entry through the RSS 2.0 feed. You can leave a response, or trackback from your own site. you are welcome–Gallant was a fascinating character. I took one look at the picture and thought this would be an amazing guy for Fred Armisen to play on a new episode of Documentary Now! I can imagine how funny a mockumentary on Prohibition’s early days would be. Yeah, especially how so many people just ignored it! Wow — name-dropping the likes of: a roomie like Eugene O’Neill, Edgar Allen Poe’s former digs, starting a business on Washington Square plus the infamy of being first in The Tombs for selling hootch — this man was the Forrest Gump of his day!